Product prices and availability are accurate as of 2019-04-24 01:34:08 UTC and are subject to change. Any price and availability information displayed on http://www.amazon.co.uk/ at the time of purchase will apply to the purchase of this product. 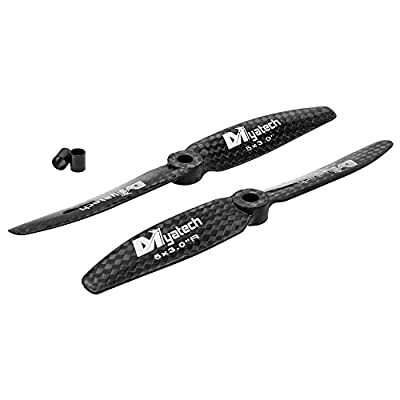 The material carbon has an excellent spring and damping attribute, your new 5x3 propellers are much higher resilience against accidents than conventional Multicopter propellers. So grant your Multicopter / racer this motors gentle Premium propeller and he will reward you with less wear! Thanks to the included Recording-Adapter, these carbon propellers fit many different Multicopter / Racer. 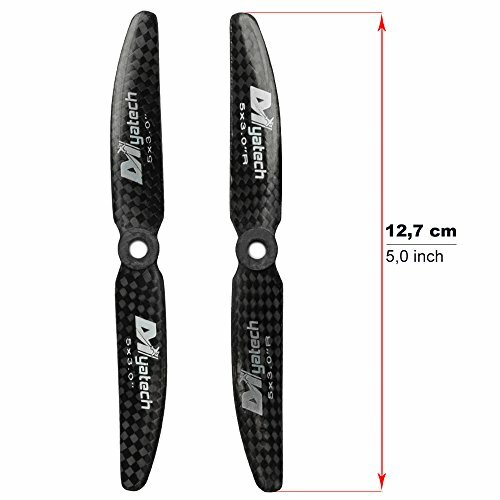 High quality 5x3 propellers consists of strength carbon fiber. Suitable for the beginner Quadrocopter users as well the professional, because the propellers have excellent processing. 5x3 " propeller levorotatory (CCW) Recording: 5mm - Propeller Adapter 4mm - 5x3 " propeller clockwise (CW) Recording : 5mm - Propeller Adapter 4mm The material carbon has an excellent spring and damping attribute, your new 5x3 propellers are much higher resilience against accidents than conventional Multicopter propellers.